Given a function and the gradient/derivative function of it, this code can plot the function and for each dimension the partial derivatives. If you want to minimize your objective function with a gradient based optimizer, then it sometimes comes handy to visualize the objective functions (or at least projections of it) and the gradient function. 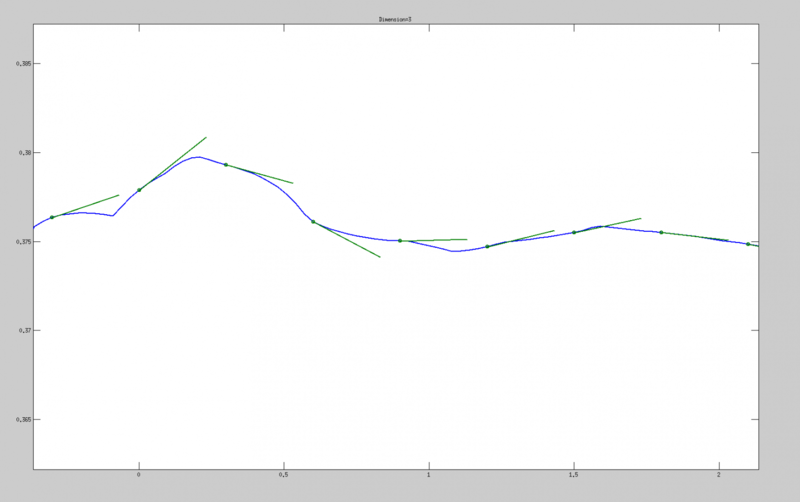 Then it is more easy to see if your gradients are correct and if the objective function is optimizable. Of course another way to check if your gradients are correct is to compute the numerical gradient and compare the difference to your computed gradient. Here are some example images how the figure look like. In blue the objective function, in green the gradients/tangents. 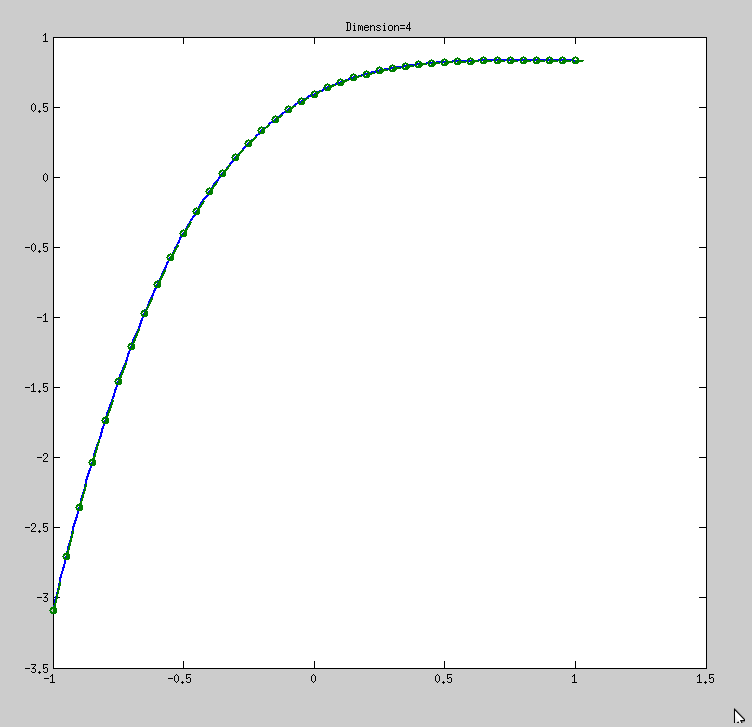 % plotGradAndObj plots the objective function around a given startpoint. % the area [-sStep. *nStep : sStep : sStep. *nStep] around X is plotted. % Each dimension of X is plotted individually = a projection of each dimension is plotted. %   to the initialization value. % varargin: if the gradient and objective function require more input it can be provided here. % with obj being the function value and grad the array of partial derivatives. % Make quiver arrowheads bigger or smaller. %   adjust_quiver_arrowhead_size(h, 1.5);   % Makes all arrowheads 50% bigger. %   quivergroup_handle      Handle returned by "quiver" command. %   scaling_factor          Factor by which to shrink/grow arrowheads. %   Break up XData, YData into triplets separated by NaNs.